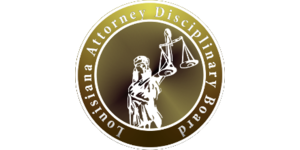 These lawyers were the subject of Louisiana Supreme Court disciplinary orders or Louisiana Attorney Disciplinary Board recommendations published during the month of March 2019. In re Shannon Jay Thomas. The court suspended the respondent for one year and one day. The respondent was arrested and charged with the crime of simple battery. Christine Yvonne Voelkel. The court suspended the respondent on an interim basis for threat of harm. Doris McWhite Weston. The court suspended the respondent for a period of one year and one day, all deferred, subject to a two-year period of supervised probation. The respondent experienced a high-risk pregnancy and failed to promptly remit $4,901 to a third party medical provider. Her conduct violated Louisiana Rule 1.15. Victor Roy Laraso, III. The court suspended the respondent on an interim basis pursuant to Louisiana Supreme Court Rule XIX. Daniel J. Hunter. The court suspended the respondent for a period of one year, all deferred, subject to a two-year period of probation. The respondent mismanaged his client trust account and, in so doing, violated Loiusiana Rules 1.15 and 8.4(c). Scott W. McWaig. The court suspended the respondent on an interim basis pursuant to Louisiana Supreme Court Rule XIX, § 19.3. James E. Moore. The court suspended the respondent for a period of one year, retroactive to January 31, 2018, the date of his interim suspension. The respondent was charged with multiple criminal offenses relating to substance abuse. Christine Yvonne Voelkel. The board recommended that the court suspend the respondent for one year and one day. The respondent filed pleadings when she was ineligible to practice law. The respondent failed to communicate with a client, which jeopardized the client’s cause of action. 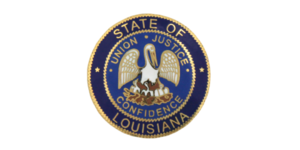 Additionally, the respondent violated Louisiana Rules 1.15 (mismanagement of client trust account), 8.1(c) (failure to communicate with the ODC), 8.1(d) (failure to respond to lawful committee from the disciplinary board), and 8.4(a) (violating or attempting to violate the Rules of Professional Conduct). Julie Yolanda King. The board recommended that the court suspend the respondent for one year, retroactive to March 14, 2016, the date of her interim suspension. The respondent pled guilty to submitting a false affidavit of domicile in connection with her campaign for Orleans Parish Juvenile Court judge. In so doing, she violated Louisiana Rule 8.4(a) (violate or attempt to violate the Rules of Professional Conduct), Rule 8.4(b) (commission of a criminal act), and Rule 8.4(c) (conduct) involving dishonesty, fraud, deceit, and misrepresentation). Akello Patrice Dangerfield. Hearing Committee #10 recommended that the court disbar the respondent. The committee found that the respondent converted client funds willingly and knowingly. In so doing, the respondent violated Louisinaa Rules 1.15(a)(d) and 8.4(a)(b)(c)(d). In addition, the respondent failed to pay her bar dues, failed to complete her MCLE requirements, and failed to file her annual trust account overdraft disclosure authorization. Richard C. Oustalet. Hearing Committee #62 recommended that the court suspend the respondent for two years. The respondent delayed the resolution of a client’s pending criminal matter, abandoned his representation, remained counsel of record on a client’s criminal matter while serving as an Administrative Law Judge of the State of Louisiana, and converted funds for his own use. In so doing, the respondent violated Louisiana Rules 1.3, 3.2, 1.4(a), 1.16(d), 8.4(c), 1.7(a) (b), 1.11 (d) (e), and 1.5(a) (b) and (f)(5). Arthur L. Harris. Hearing Committee #23 recommended that the court suspend the respondent for three years. The respondent failed to return a client file despite a court order to do so. In addition, he knowingly failed to update his registration statement, he improperly terminated his legal representation, he failed to expedite litigation, he failed to refund unearned fees, he disobeyed the tribunal, and he failed to cooperate with the ODC’s investigation. In so doing, the respondent violated Louisiana Rules 1.1(c), 1.16(d), 3.4(c), 8.1 (b), 8.1(c), 8.4 (a), (d), 1.3, and 8.4(d). Stephen James Holiday. Hearing Committee #15 recommended that the court require the respondent to continue diagnostic monitoring with the Judges’ and Lawyers’ Assistance Program (JLAP) for a period of one year, beginning on the date of reinstatement. The court previously suspended the respondent for three years. The respondent was diagnosed with alcohol abuse and narcissistic personality disorder.